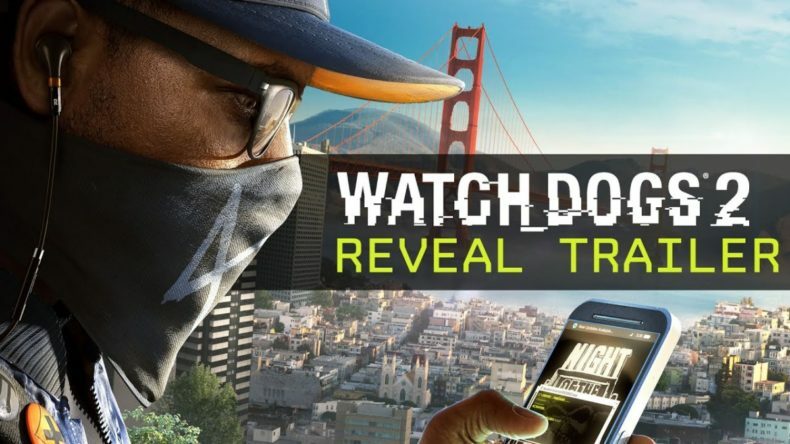 Yes, it’s true, but you knew that already: Ubisoft is sequeling its mild success Watch Dogs with a followup that will hopefully realize the concept better. The premise is the same as the first: a large metropolis decides to foolishly run every single component of its futuristic infrastructure on the same connected program, which allows for easy hackability by people like your new protagonist, Marcus Holloway. He’s been framed for a crime he didn’t commit, blames the literal system and plans to shut it down. And you can help! Ubisoft’s description of the gameplay reads like thus: “With the ability to take control of drones, cars, cranes, security robots, and much more at their disposal, players can choose whether to use stealth hacking to complete missions without killing a single enemy or go guns blazing for a more ferocious approach.” On paper this sounds crazy-fun, but it wasn’t executed quite so well the first time. When E3 fires up in a few days we’ll hopefully get some hands-on reports of improvement. As far as the preorder and special edition market goes, Ubisoft may have gone a little overboard…. · Deluxe Edition includes the Game, an exclusive sleeve, a San Francisco Map, lithographs and the Deluxe pack of digital customization items. · Gold Edition includes the Game, the Deluxe pack and the Season Pass. · San Francisco Edition with its Collector’s box, includes the game, extra digital content: The Deluxe pack and Zodiac killer mission, the Marcus Figurine, SF-themed laptop stickers, lithographs, and a San Francisco Map. · Exclusively on the Uplay shop, fans of the franchise can pre-order Wrench Junior Robot Collector’s Pack and The return of DedSec Collector’s Case. The return of DedSec Collector’s Case contains the Gold Edition and DedSec themed memorabilia including among other collector items, the DedSec art Marcus figurine, Marcus’ scarf and cap replica and an exclusive 64 page artbook. Wrench Junior Robot Collector’s Pack includes the Gold Edition and a 20cm replica of the ingame Wrench Junior robot, controlled by an app (Iphone or Android). And this is before anybody knows if they’ll even like the game. Preordering gets you a special extra mission called Zodiac Killer, where you’re hunting a criminal who patterns his behavior after the titular maniac. We’ve got TWO trailers for Watch Dogs 2. The first introduces you to the world and the second introduces you to Marcus. Watch Dogs 2 launches for Playstation 4, XBox One and PC on November 15, 2016.